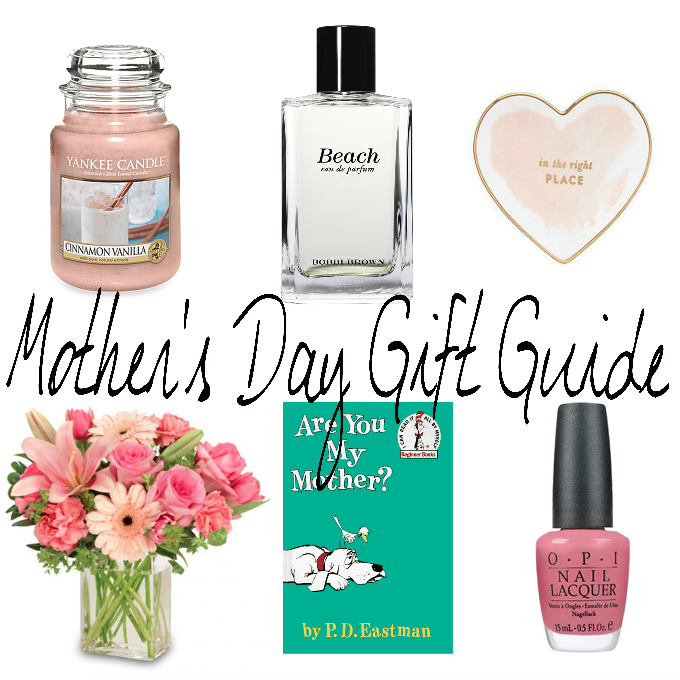 Mother's Day can be fun and a thoughtful thing to celebrate. I know that I tell my mama I love and appreciate her all the time. I wouldn't be half the person I am today without her love, support, and guidance. I'm not being cliche when I say this either, my mother is my best friend. Even though she doesn't really enjoy holidays like this and even though I can barely afford toilet paper (thanks college) there are things that I think are perfect to tell mom that you appreciate her. One // Evelyn Henson is one of my favorite artist. All her work is just so simple and I even have some of her artwork on my gallery wall. She always is putting up free downloads that you can print out and use. She has these gorgeous Mother's Day cards that you can print out, fold, and wa-la! Not going to lie, a couple of my cards came from this bad boy. Plus, it's FREE! Two // What mother doesn't like candles? My mom loves the Sage & Citrus one from Yankee Candle. If you're not trying to spend too much though you should definitely hit up Marshalls or TJ Maxx they have some amazing candles for really cheap! Three // Kendra Scott has done it again with this gorgeous 'mom' pendant. It's dainty, cute, and really capture the essence of 'Mother's' Day. Four // Something a bit more personal and child-like would be a children's book that your mom read to you as a kid. I mean imagine getting her a special story and you write her a letter within the book. This can be affordable, meaningful, and down right adorable! Five // Home decorations are always a win. As long as their cute and don't clutter up the house. My mom hates little knick knacks but things like picture frames, vases, and jewelry trays are always a must have in her house. Six // I have one word for you... perfume! I mean, duh. Seven // My mom lives for fuzzy blankets and socks. It doesn't matter the weather you can always find my mom curled up in a super soft blanket at the end of the day. Eight // Pictures and picture frames go together like peanut butter and jelly. You can find some super affordable and decorative ones at Target, Marshalls, or Amazon! Nine // Every mama loves a good spa day. Even though she might not always have time to head to the spa this is the perfect chance for you to bring the spa to her! You can get a mixture of lotions, nail polishes, a robe, face mask, bath salts, bath bombs, and even a foot massager! Mom's need to relax too! Ten // This is an oldie but goodie. Flowers and chocolate covered fruits. Especially if you aren't with your mama this mother's day you can still send the love with Edible Arrangement and Flowers.com!